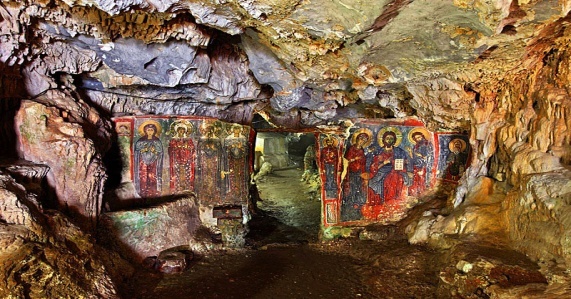 The cave of Agia Sophia is near Mylopotamos. 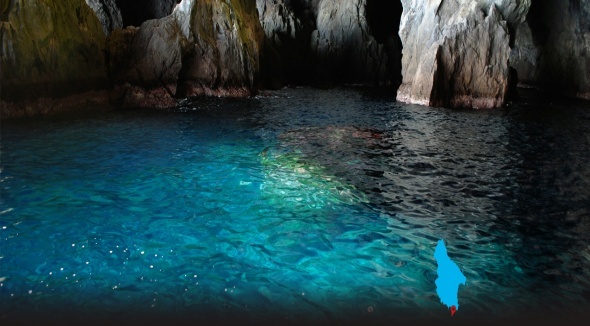 It is one of the three caves on the Island open to visitors. The cave is very beautiful with stalactites and stalagmites . After the entrance there is a stone church of the 13th century. Built by the venetians during 13th century. The castle was built with the intention of controlling the sea passages of kythera between the Aegean, Cretan and Ionian seas. Is located a short distance across the harbor of Kapsali. You can find a large cave with crystal clear waters. You can visit Hytra by boat. The largest stone Bridge in Greece. It is 15 metres long & 6 metres wide. 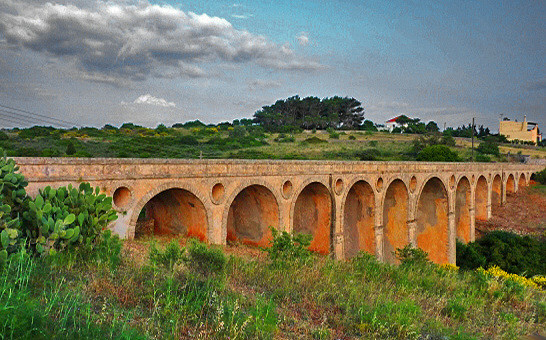 The Bridge built by the Kytherian workers during the british administration. 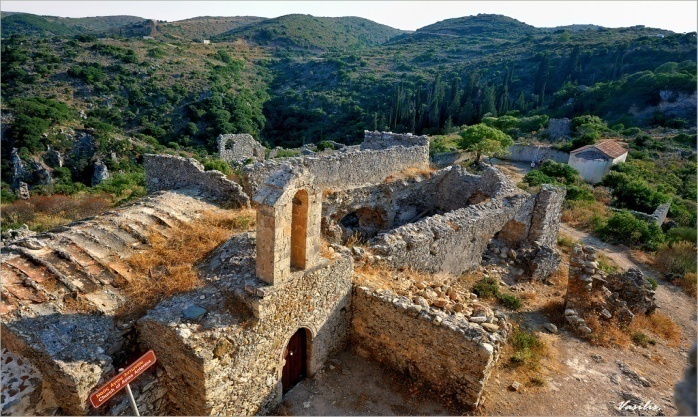 There are 22 watermills which can be found down the valley of Milopotamos. The mills operated by flowing water running down the valley. 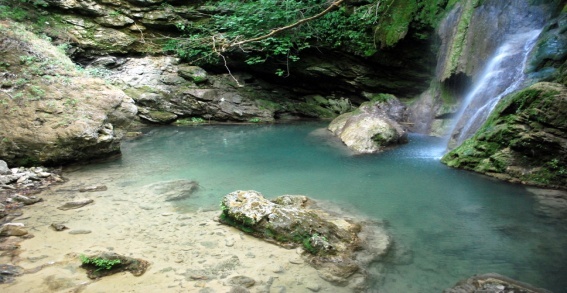 Continuing your walk you will find beautiful small pools and waterfalls. 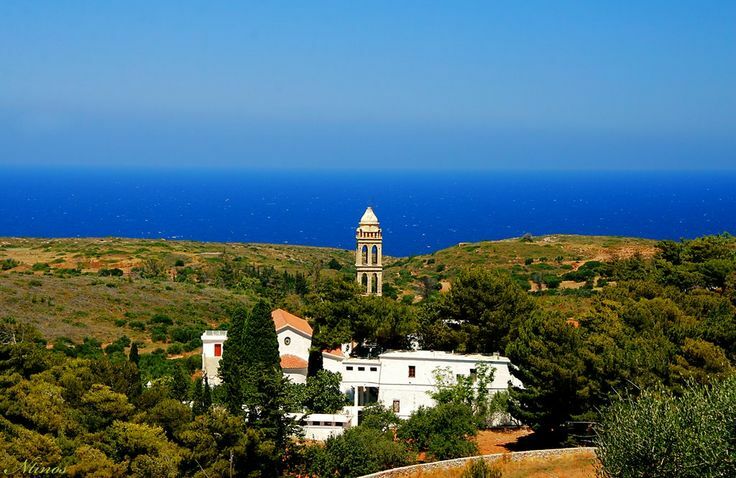 It is the largest Monastery in Kythera. It is built on a natural rocky opening and is the islands most precious relic. 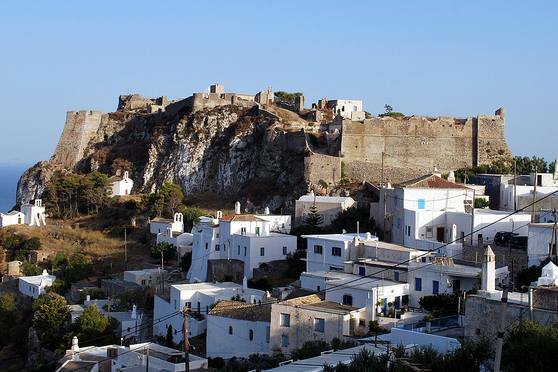 It is the largest fortified settlement on Kythera. Paleohora was built in the 12th century as the byzantine capital of the island. Today you will have the opportunity to admire traces of Byzantine Churches, monasteries and houses. 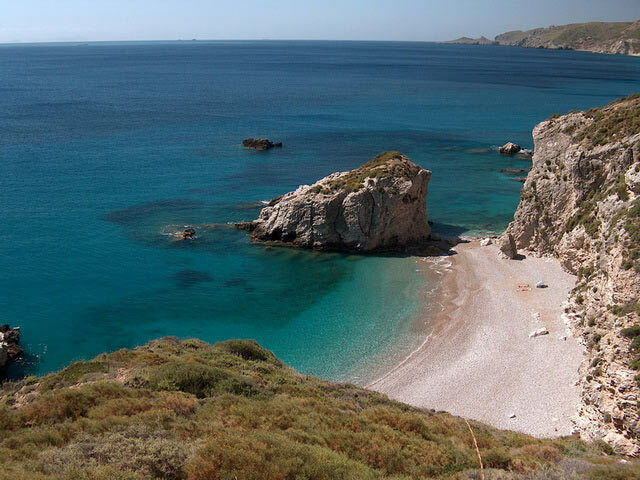 The annual Wine Festival of Kythera takes place in the village of Mitata in August. Locals and visitors all get together to celebrate the production of wine, which is given for free during the festival. 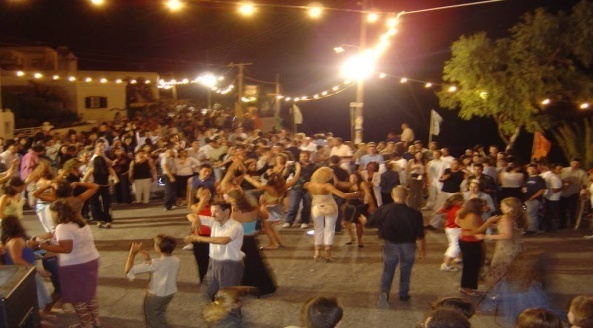 On the night , the festival includes traditional food and dancing all night. 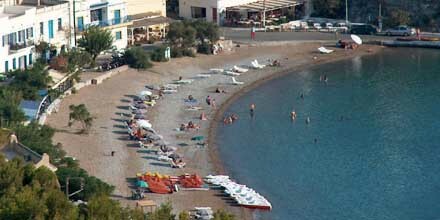 A long beach located between Firi Ammos & Kaladi. It has large pebbles and deep waters. Beautiful small clean beach, crystal clean waters. Consists of pebbles & rocky landscape. Ideal for swimming & diving. 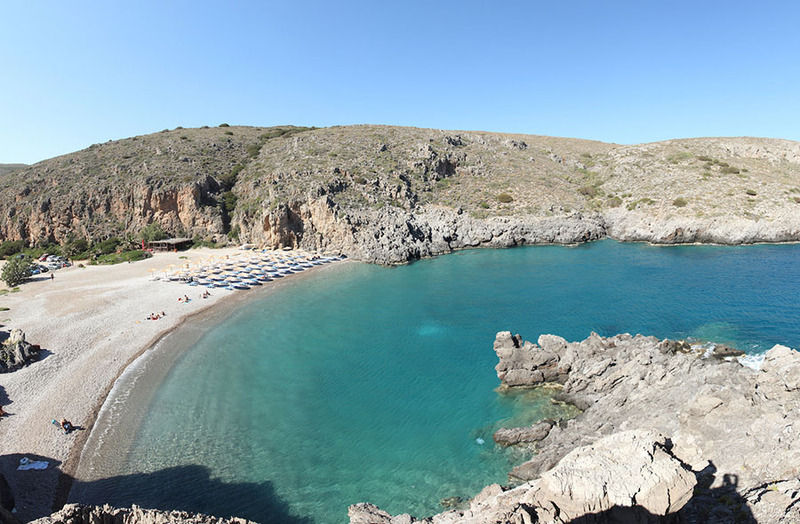 One of the most beautiful beaches on the Island surrounded by wild beauty. It consists of pebbles & sand. It is a long beach with red sand & pebbles . 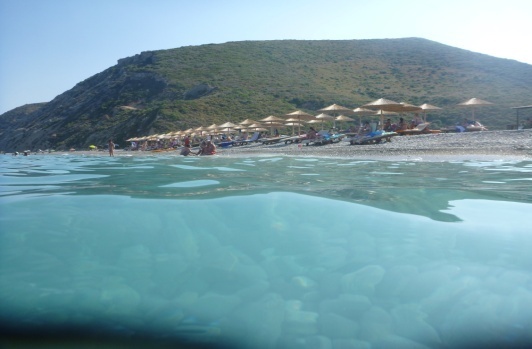 It has won an award for its natural beauty and crystal clear waters. 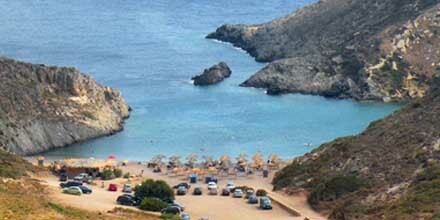 A small bay with fine sand, crystal clear waters and a view to the island of Hytra. 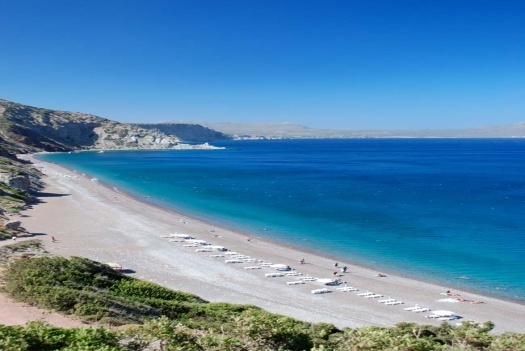 It is a long sandy beach with tourist facilities.